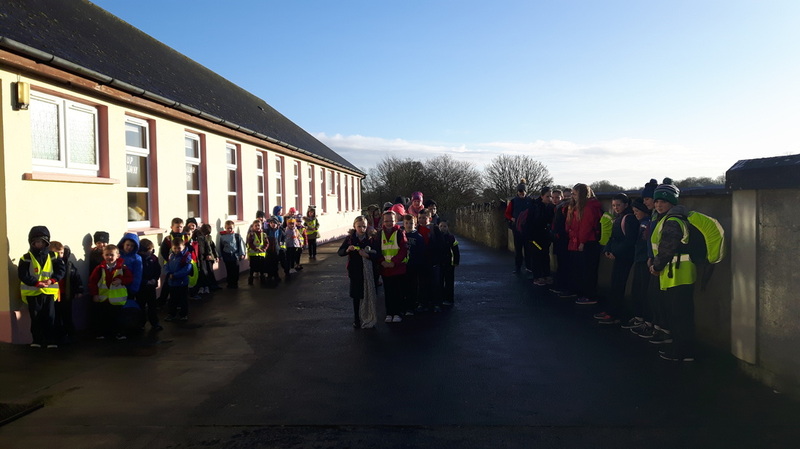 94% of our school walked today! 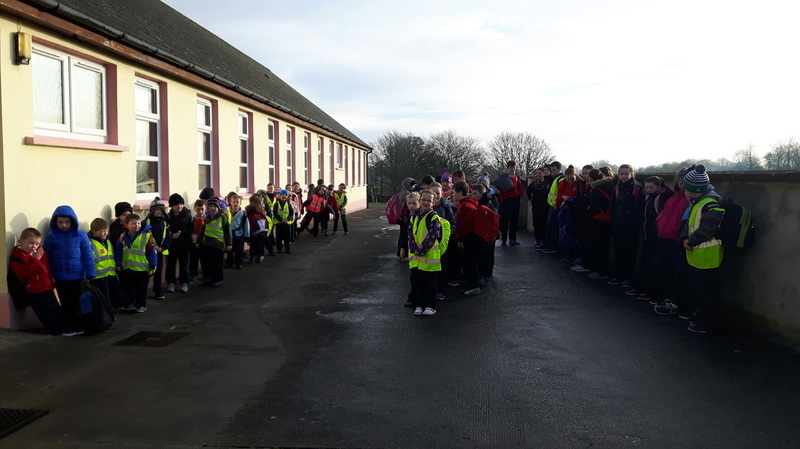 The bus even stopped at Cloughbrack to let everyone join the walking bus! It definitely deserves a night off homework. Next Tuesday is our next Day of Action. 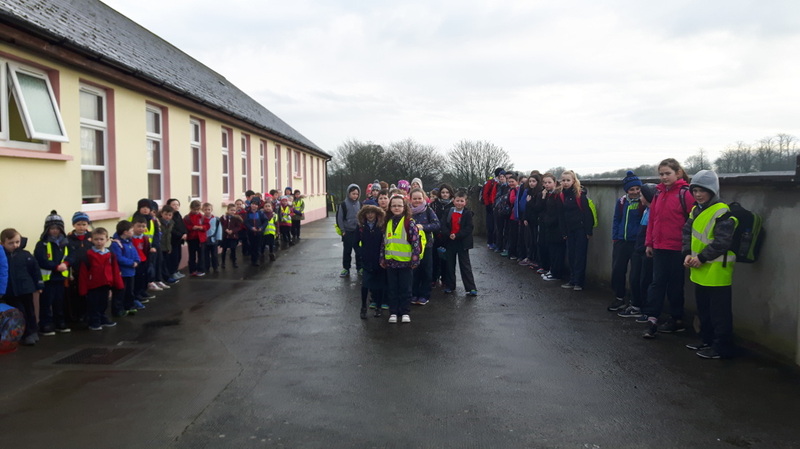 There are to be no cars in Eyrecourt as we will all be walking, cycling we're going to ask our school bus driver to drop us off at Cloughbrack so we can all walk to school for the day. ​Watch out for the signs around the village and join a walking bus. Over 80% traveled green to school today. 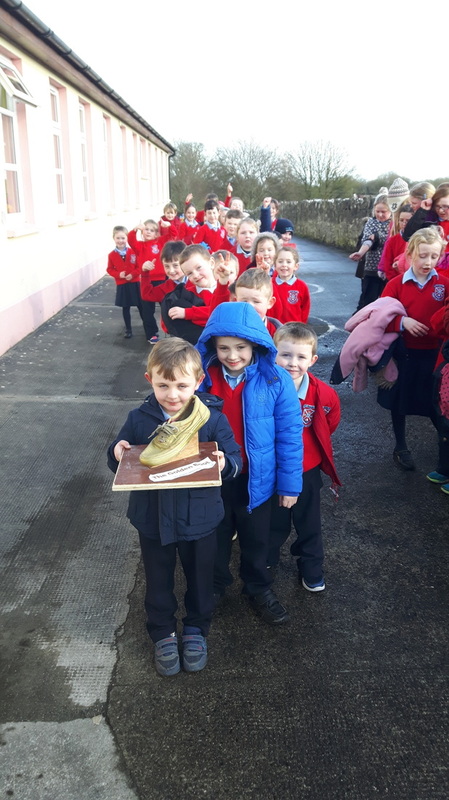 Well done Mrs Greaneys class for winning the Golden Boot today! 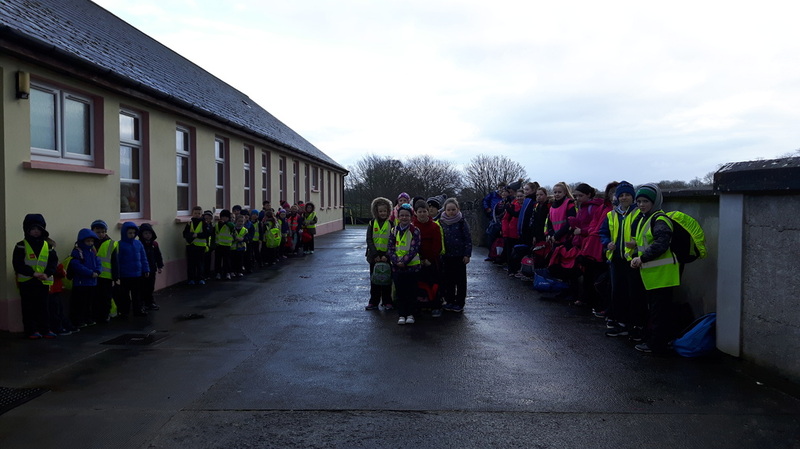 83% of the school travelling green today! 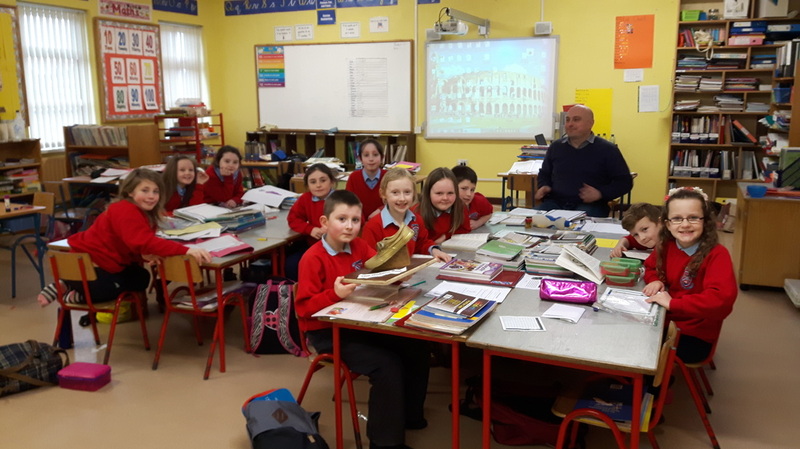 Well done to Mr Barretts class with a very impressive 90%! 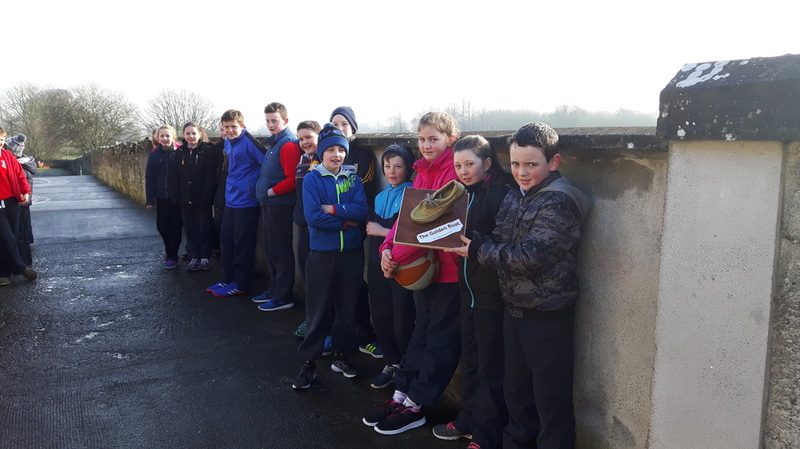 Despite swimming bags along with their heavy school bags, 82% of Ms Treacy's class travelled green. Well done! 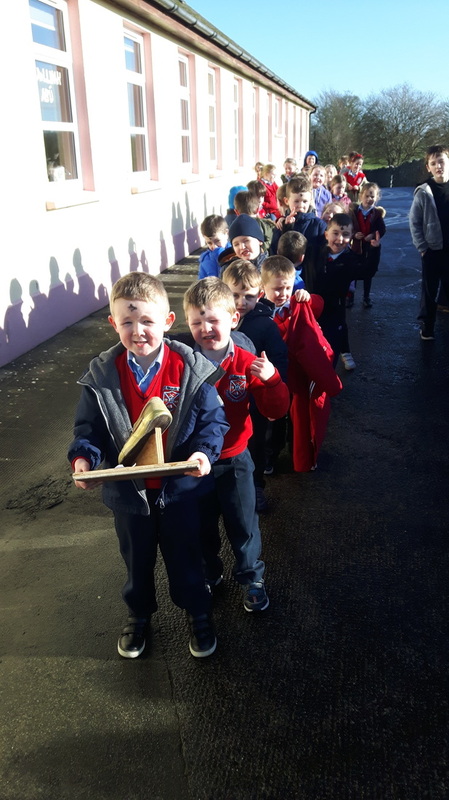 Holding the title two days in a row are Ms Treacy's class at 81% green travel. 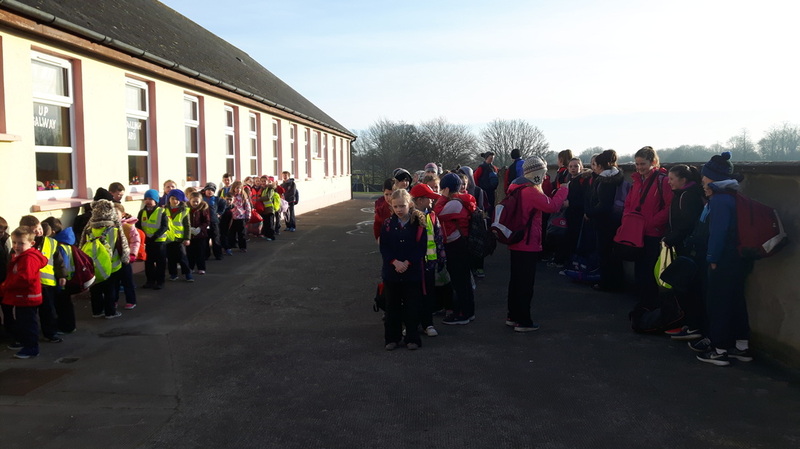 Nearly three-quarters of the school travelled green this morning! 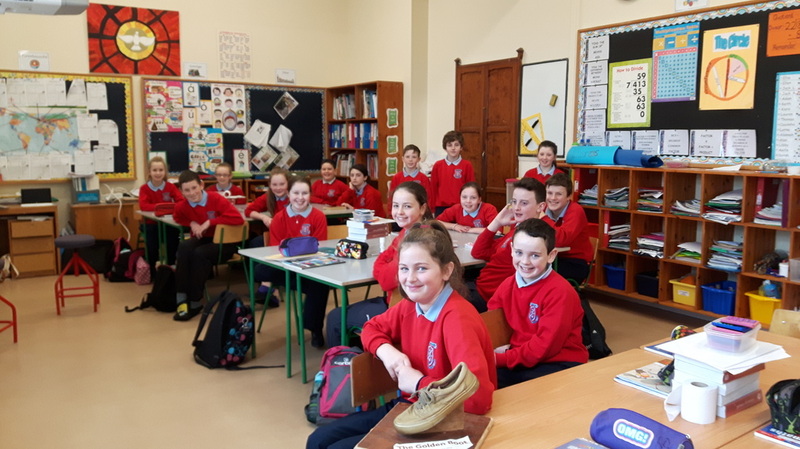 The green school committee/Ms Treacy's room showed great example today with 100% green travel!! 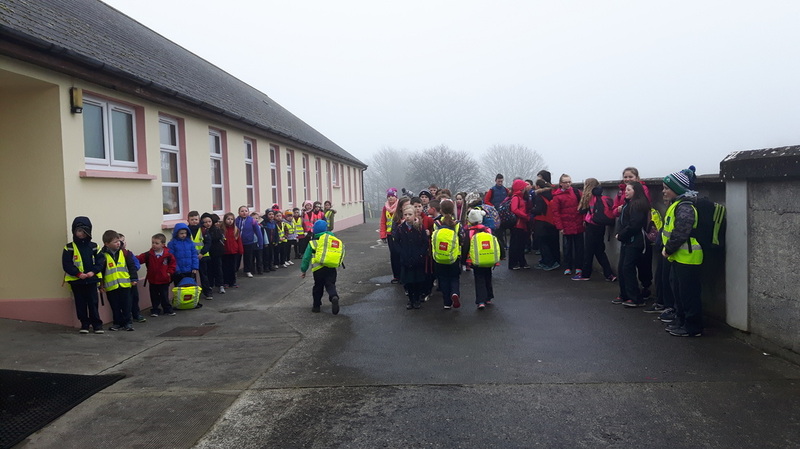 Everyone in the class walked or used the bus. Well done! 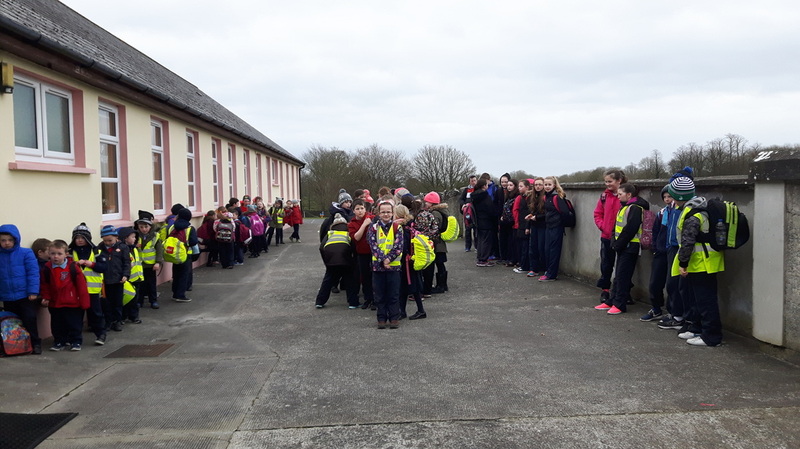 80% of the school travelled green today! 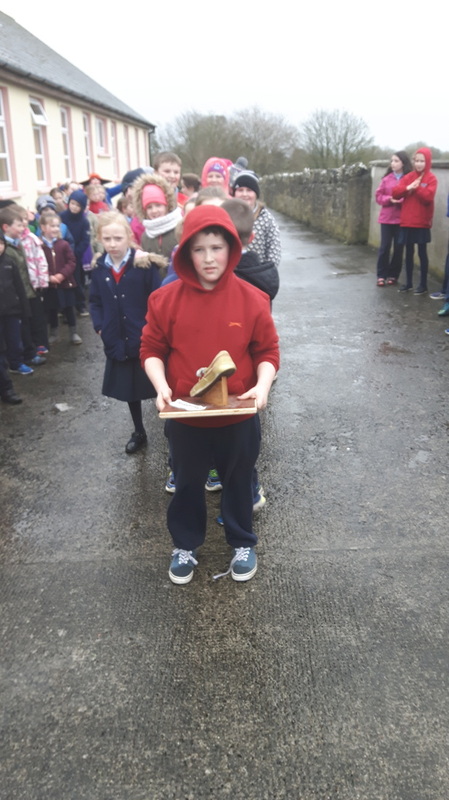 Well done to Mrs Greaney's class who are todays' lucky boot winners. They are also getting a lucky dip! 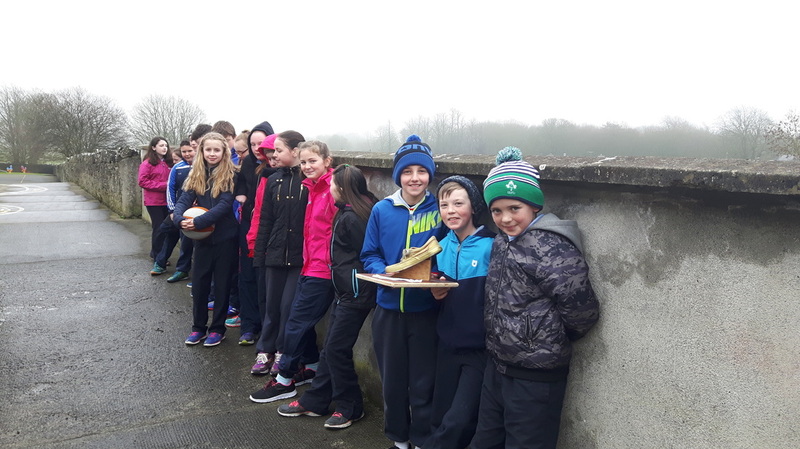 Mr Barretts class pulled it out of the bag with 60% travelling green! Well done! It takes more than Storm Imogen to stop us walking! 78.5% travelled green today! 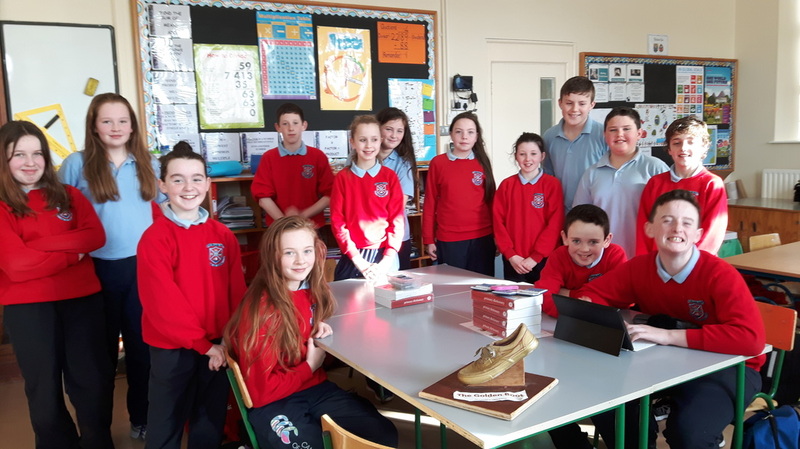 Ms Treacy's Class are finally the Golden Boot winners of the day! Well done!